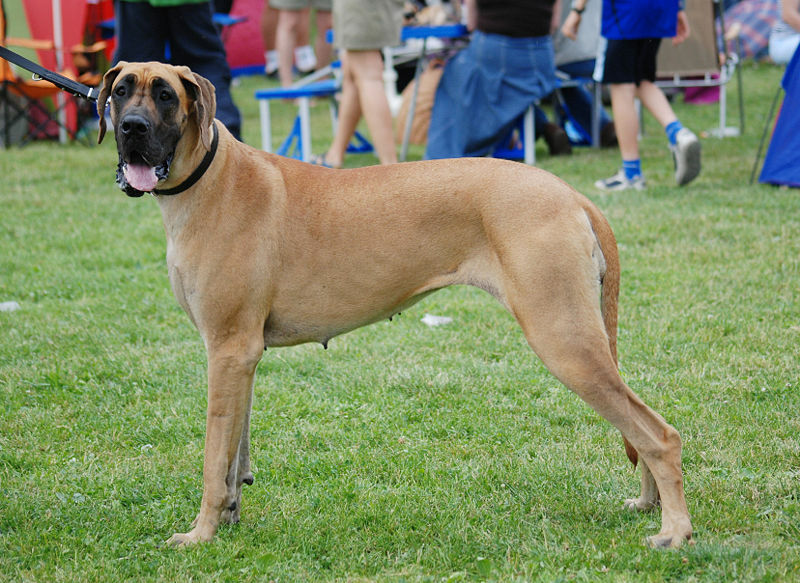 The original Great Dane was thought to be of English Mastiff and Irish Wolfhound ancestry and was bred to hunt bear and wild boar, able to kill these animals independently of any human hunter. They were often provided with thick linen coats to protect their bodies in these battles; the ears were cropped for the same reason. The Great Dane excelled as an estate guard dog. They were later selectively crossbred to include the genetics of the greyhound to create today’s “Great Dane” that we see. In Germany, the breed is referred to as Deutsche Dogge. 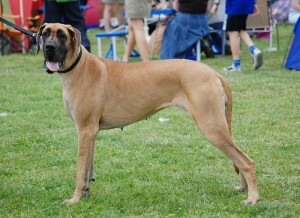 Great Danes can do well with older children if raised with them from an early age. Generally, they love to be around their familiar people and thrive on affection. They are loyal and dependable companions. 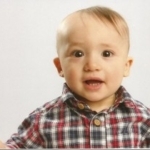 They must be socialized at an early age to help deter unwanted behaviors such as fearfulness or aggression. Because of their genetics, even well socialized Great Danes may display unwanted fierceness other undesirable behaviors. Great Danes make excellent watch dogs and will bark to alert to danger. Otherwise they tend to be very quiet dogs. They can do well with strangers if properly introduced and are obedience trained. 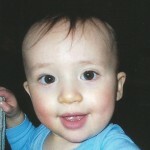 Due to their size, interactions should be monitored and observed with unfamiliar guests and arrivals. It is important to start obedience training early in puppyhood. 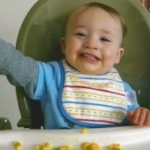 They grow very quickly and can easily become unmanageable well before they are full grown. It is important for owners to be gentle but at the same time confident and consistent with their training to help them maintain control. 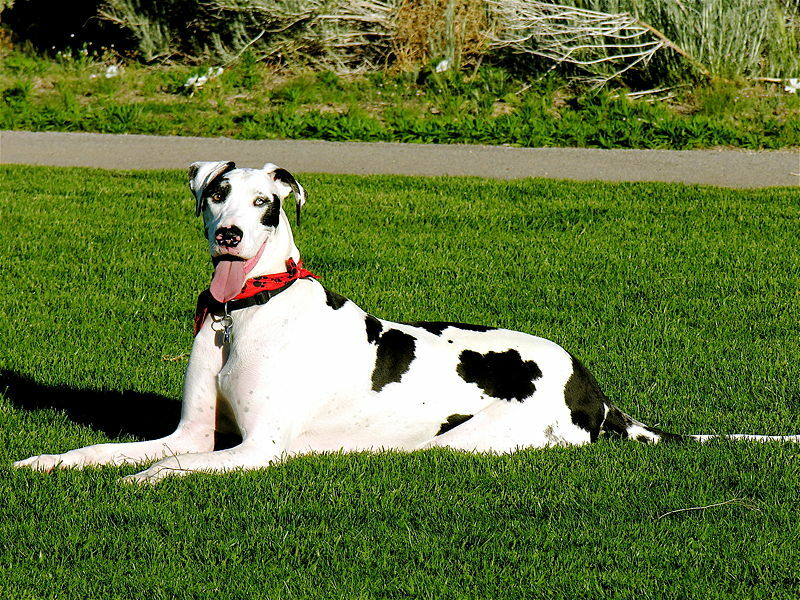 Great Danes require minimal amount of care to stay healthy. As puppies, it is important not to over exercise them because they are prone to bone and joint issues. Daily walks are an excellent source of exercise without over exerting the dog. Jogging is never recommended. For the most part, Great Danes can live well with other animals, but caution should be taken. They may not do well with small animals, and they have a tendency to become aggressive to other dogs. Interactions with other animals should be monitored and conducted slowly and methodically. Even if raised alongside other animals, they can be aggressive towards unfamiliar dogs and pets..
Great Danes have short coats and require minimal grooming. Their metabolism is slow and may result in less food consumption and less energy. This breed is susceptible to medical issues such as hip dysplasia, heart disease, and blindness. They are extremely vulnerable to bloat., an acute emergency life-threatening situation. 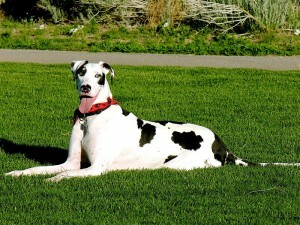 It has been estimated that 42% of Great Danes develop bloat during their lives. ** They typically weigh between 100-200 lbs and typically live 6-8 years; on rare occasions they may live over 10 years. In North America, from 1982-2015, Great Danes have been responsible for 39 serious attacks on humans that resulted in 21 maimings and 3 fatalities. They can be potentially dangerous due to their breed history, size, and strength.